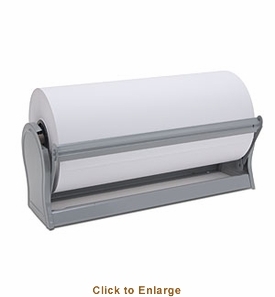 You�re viewing our Sausage Maker 18" white freezer paper. TSM's freezer paper is used to wrap meat for the freezer, perfect for home or commercial food service use. The choice grade paper has a poly coating to extend the life of food in the freezer. Prevents freezer burn up to 6 months. 1000 feet per roll. 18" wide. Freezer paper dispenser sold separately. Please contact us with any questions you may have about our products. Scroll down to view our Sausage Maker 18" white freezer paper.